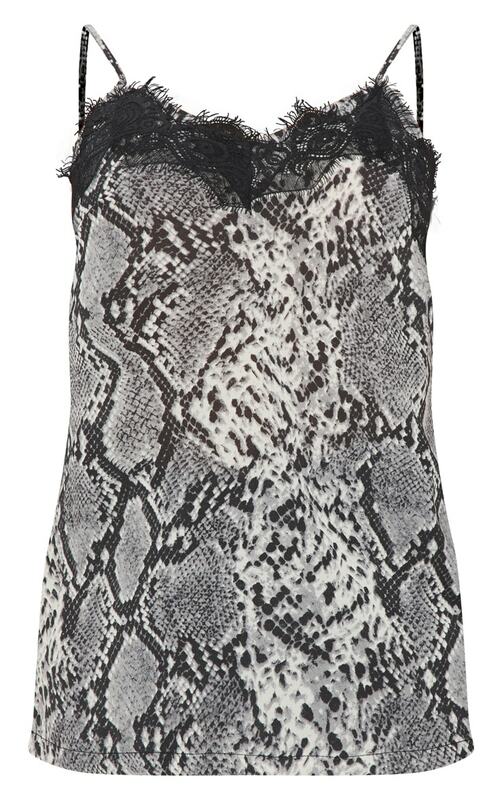 We are loving all things snake print right now and this top is a total must-have. Featuring a grey snake print material with a satin lace trim and thin straps, what's not to love? Team with high waisted black leather pants and slip on clear heels for a night-out look we're loving.